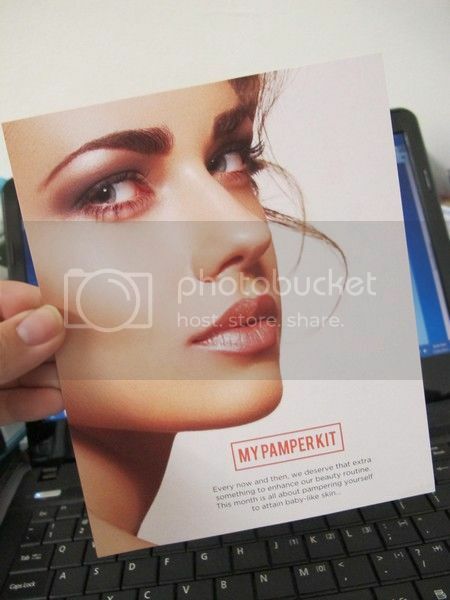 July Mivva Box with the theme My Pamper Kit suits me the most as it's all about pampering myself to attain baby-like skin. *aww* The girls should deserve something extra after a hard day of work everyday and July Mivva Box is a good beauty box to go for. Beautymate Purifying & Hydrating Nano Toner - RM49.90 for 120 ml. 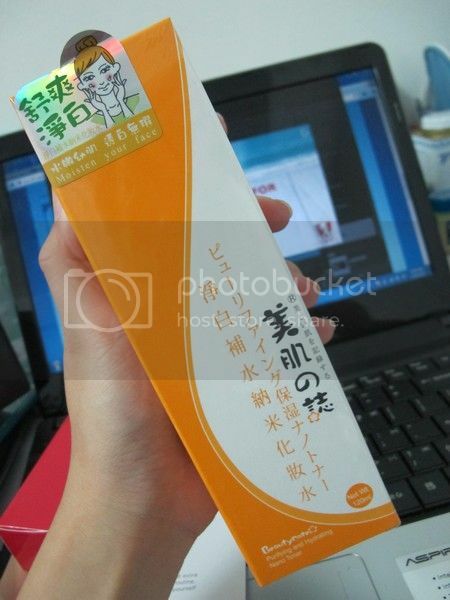 Contains Ginkyo Biloba Leaf Extract, Hydrolyzed Pearl and Glycoproteins, Ginkyo Biloba Leaf Extract helps to hydrate the skin and facilitate the metabolism which prepares fast absorption of lotion. 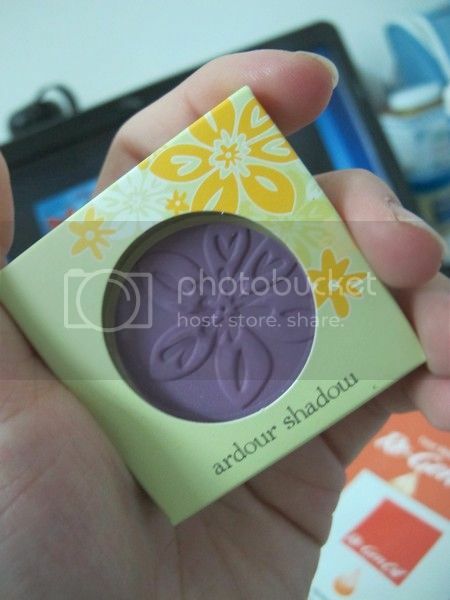 Formulated with natural mineral of Hydrolyzed Pearl to brighten up the skin tone and balance its pH value, it makes the skin soft and smooth. Glycoproteins help to increase the moisture balance in the cuticle up to 15 hours or more. 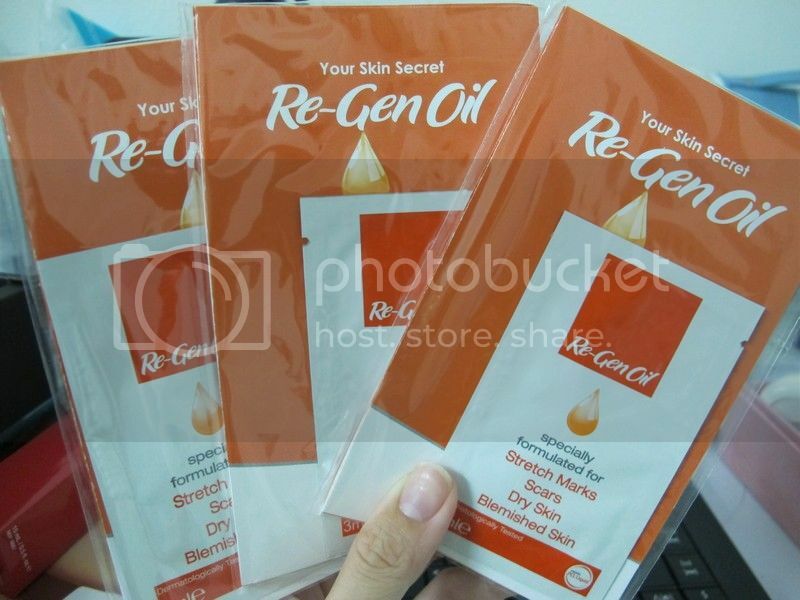 Re-Gen Oil contains the active ingredient PCL liquid, which promotes skin regeneration. Rich in Vitamin A and E, it helps to fight skin aging by reducing the oxidants in the skin. Alongside its natural ingredients such as Lavender, Calendula, Chamomile and Rosemary oils, it puts the beauty back, with a special formulation that provides high level of moisture that improves blemished skin and skin with scar tissue. 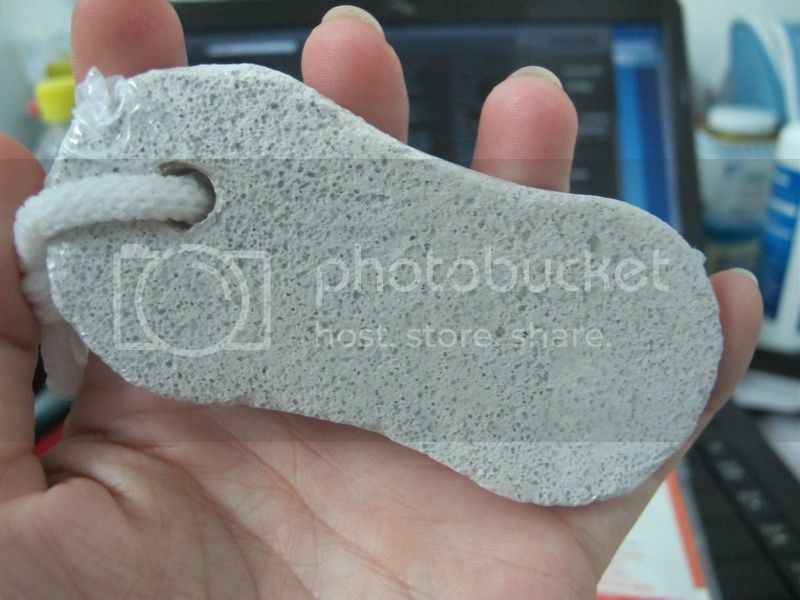 Pumice stone is an additional item that I received in this Mivva Pamper Kit. 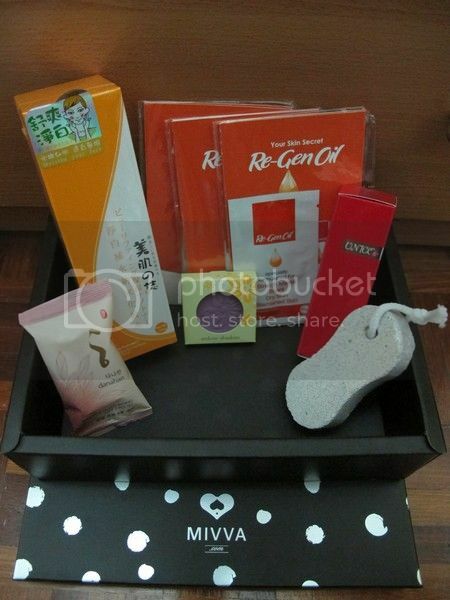 It's suitable for me especially I have a lot of dead skin cells on my feet. I always use them after shower to ensure that all the dead skin cells are removed. Enhancing the biological function of the lymphatic system, strengthening the cell metabolism so as to eliminate eye bags, dark eye circles, bulging, puffiness and fine lines, making the facial skin around the eyes firmer and brighter. Specially designed to block cell degeneration by scavenging the free radicals and epidermis mediators that could damage the skin tissue fibres. I have been using every now and then and I seriously love this eye cream. The packaging is super cute especially the polka dot box. 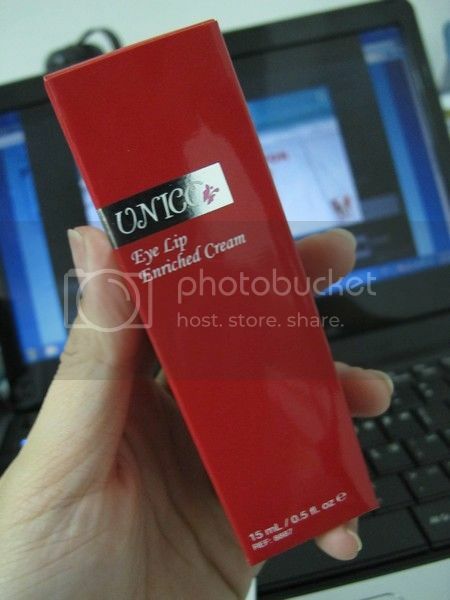 (: Love the Unico Eye Lip Enriched cream the most as it gives me a satisfying results. (: Re-Gen Oil is really good for my scarred and blemished skin. 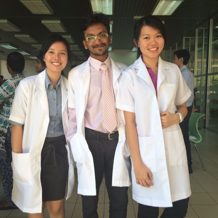 Thank you Mivva!